The ministry of ill—‘tis human love! When man’s best monuments wear fast away. To its unholy uses through all time. The lavish measure in which love is given. And every creature feeding on the hills. And every bee and flower. And running brook. We see how everything was made to love. Find anything to hate but human pride. For Mrs. A. M. Cassey. Selected by her affectionate Fr. 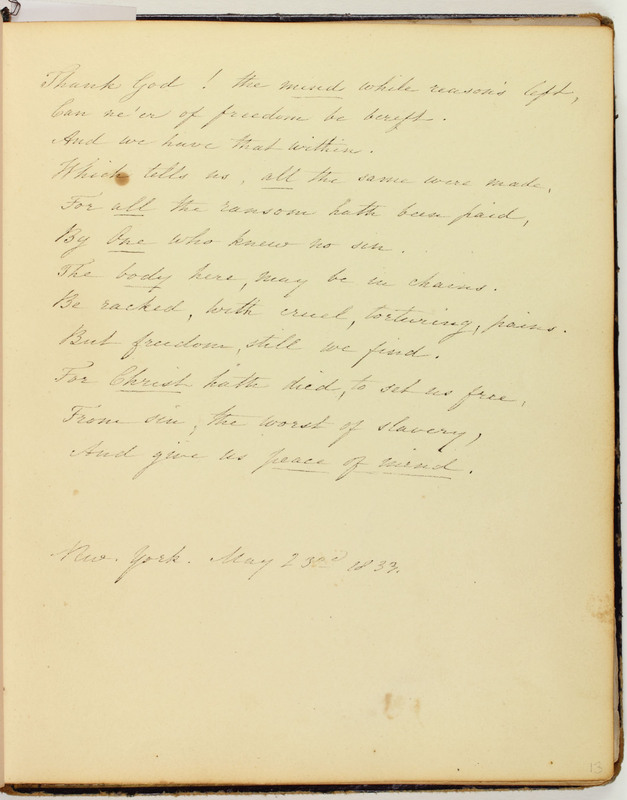 Page 59: Selected from a poem by Nathaniel Parker Willis that he delivered at Brown University on September 6, 1831. 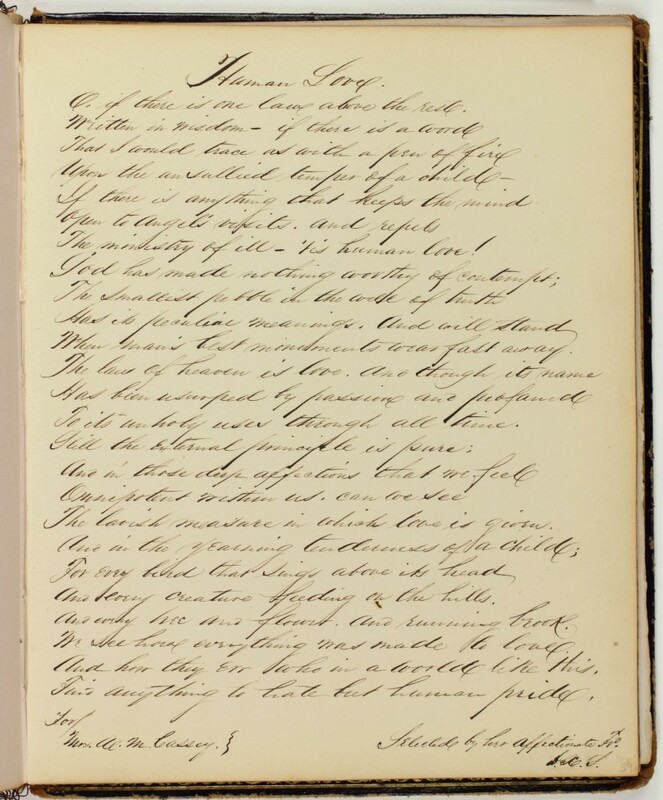 A portion of the poem was printed earlier that year in The Philadelphia Album and Ladies Literary Portfolio (January 1831).